Whether you are making a budget request, interviewing for a job, ending a relationship, or talking to children about divorce, the crux of success in those and other crucial situations is planned, effective communication. And yet, it is the tool people most often fail to use. 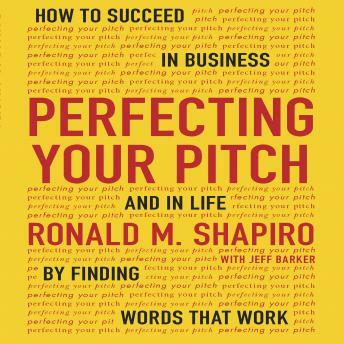 In Perfecting Your Pitch, expert consultant and negotiator Ronald M. Shapiro presents his system of scripting, outlined efficiently as the Three D's: Draft, Devil's Advocate, Deliver.